The Court of Appeals for the Third Appellate District is one of twelve intermediate appellate courts established under Section 3, Article IV, of the Ohio Constitution. The Court has appellate jurisdiction as may be provided by law to review the judgments and final orders issued by common pleas courts, municipal courts and county courts in the district. The Court also has original jurisdiction to decide in the first instance petitions for writ of mandamus, habeas corpus, quo warranto, prohibition and procedendo. 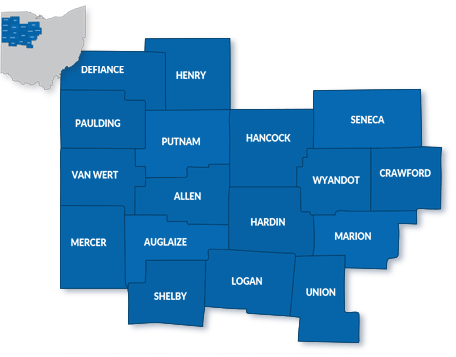 Although the Court's office is located in Allen County, the Third Appellate District covers the counties of Allen, Auglaize, Crawford, Defiance, Hancock, Hardin, Henry, Logan, Marion, Mercer, Paulding, Putnam, Seneca, Shelby, Union, Van Wert and Wyandot.